For those who want to catch an early glimpse of Paddy’s biography you will need to get down to the newsagent or on-line this weekend as the carnival is beginning. Publicity kicks off this week. There will be an interview with Artemis in the Daily Telegraph tomorrow 28 September, and an extract in the Daily Telegraph Weekend section on Saturday 29 September. On the same day there will be a PLF feature in the Guardian travel pages (will that actually be a LPF feature? ), with heaps more to come including a big Financial Times Magazine feature, Guardian Review feature, BBC Radio 4 Open Book interview, and a full programme of events between now and December, which you can download here. This is updated but you will need to check all details. I cannot be held responsible for errors or omissions. 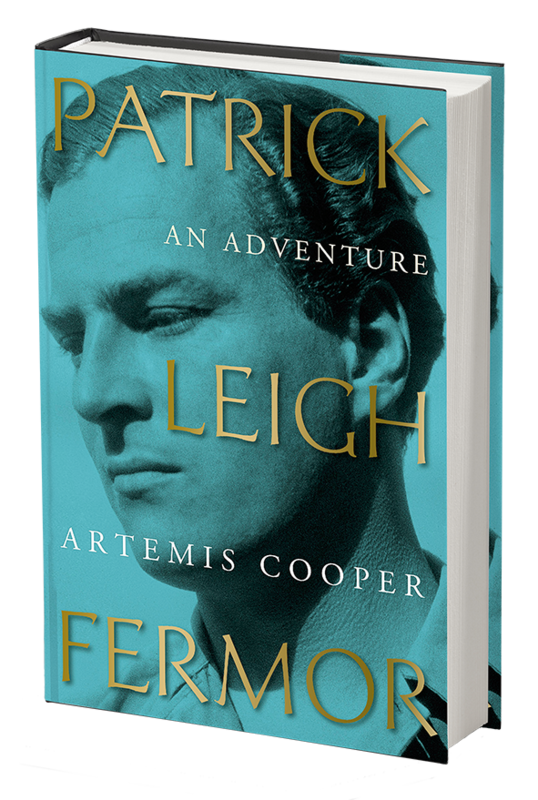 Best of all Patrick Leigh Fermor: An Adventure will also be the BBC Radio 4 Book of the Week from 19th November onwards. Don’t forget to visit Artemis Cooper’s Facebook page for further information. This entry was posted in An Adventure: Paddy's Biography by Artemis Cooper and tagged An Adventure, Artemis Cooper, BBC Radio 4, Literary Festivals, Patrick Leigh Fermor on September 27, 2012 by proverbs6to10.